BLUONE: the first portable pool lift for swimming pool access! 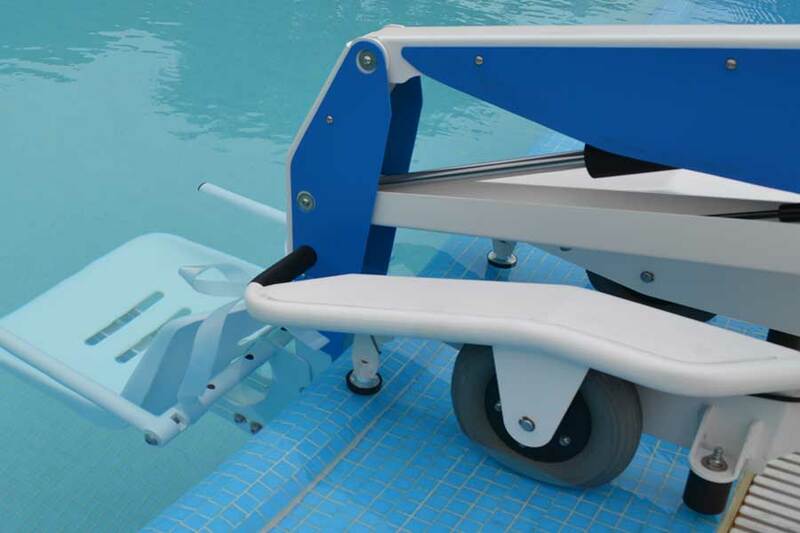 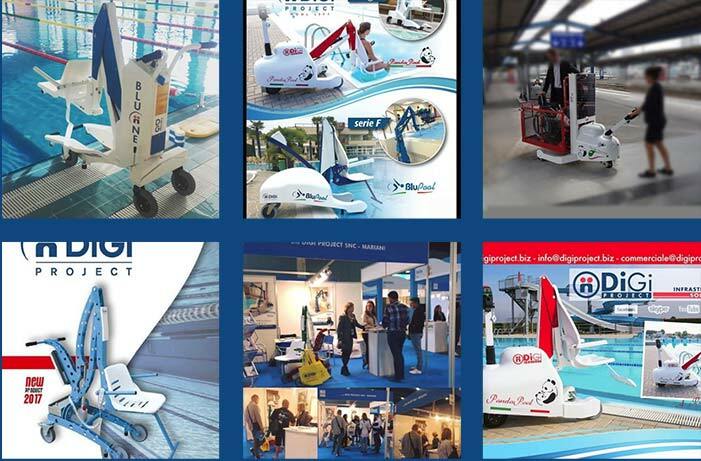 The first portable pool lift on the market that can transfer and lift people at the same time from the dressing room to the entrance into water. 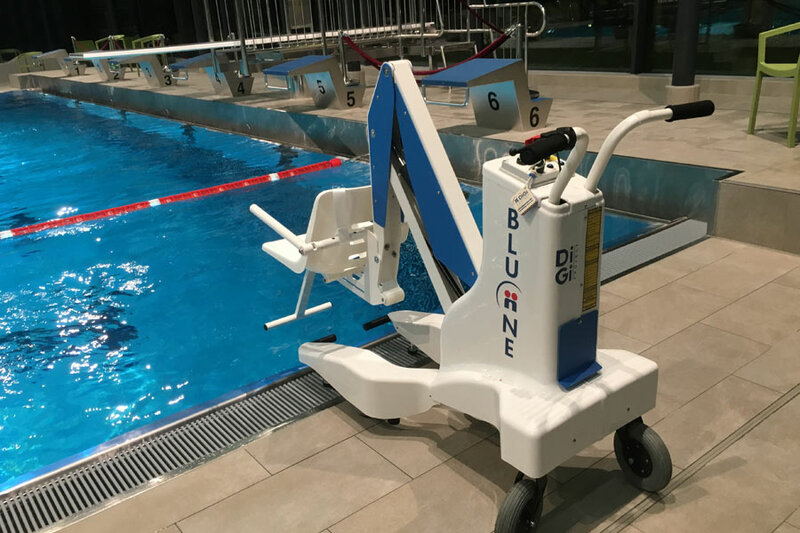 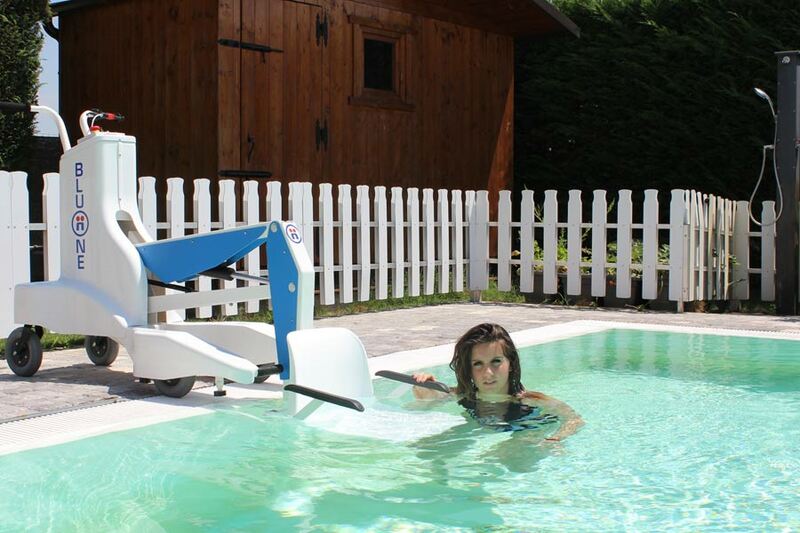 BluOne is an innovative device for the transport and the entry of people with reduced mobility into swimming pools in a safe, quick and smooth way. 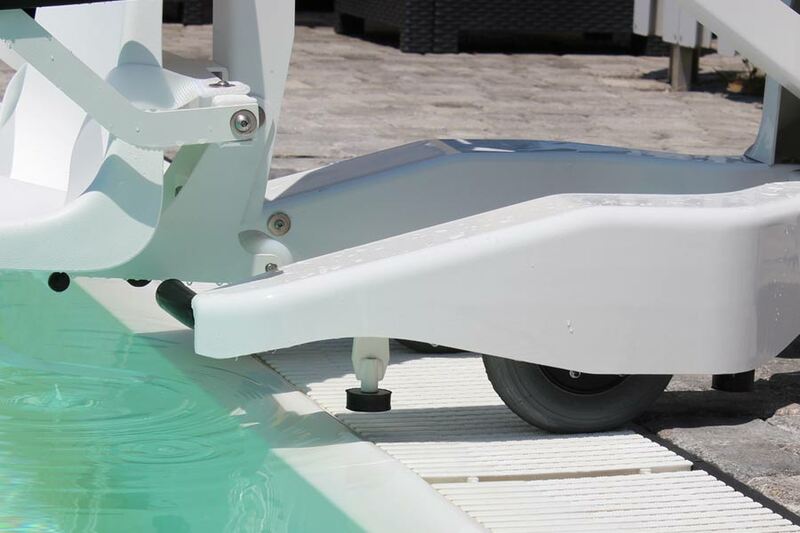 – Quick It does not need any floor fixing. 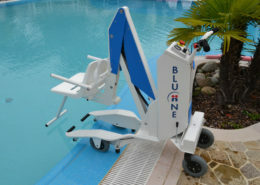 BluOne is easy to use. 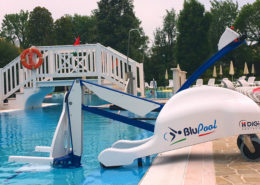 The person simply sits on the seat at the front and is pushed to the edge of the pool. 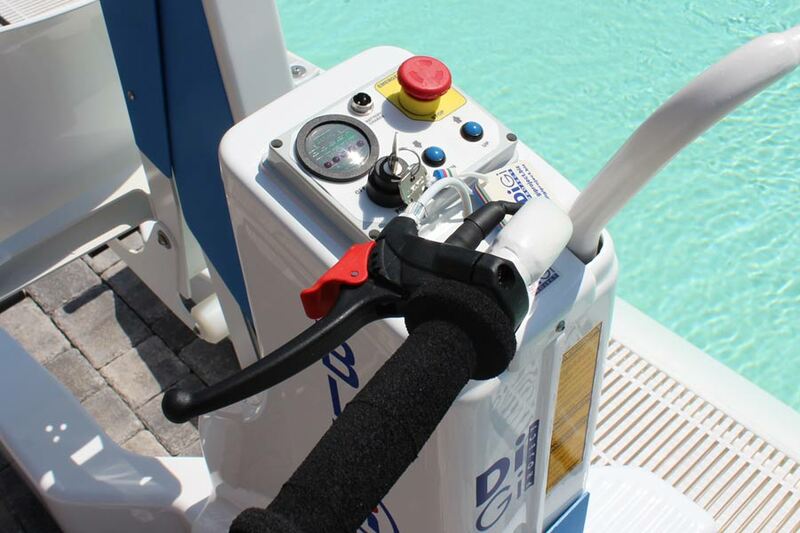 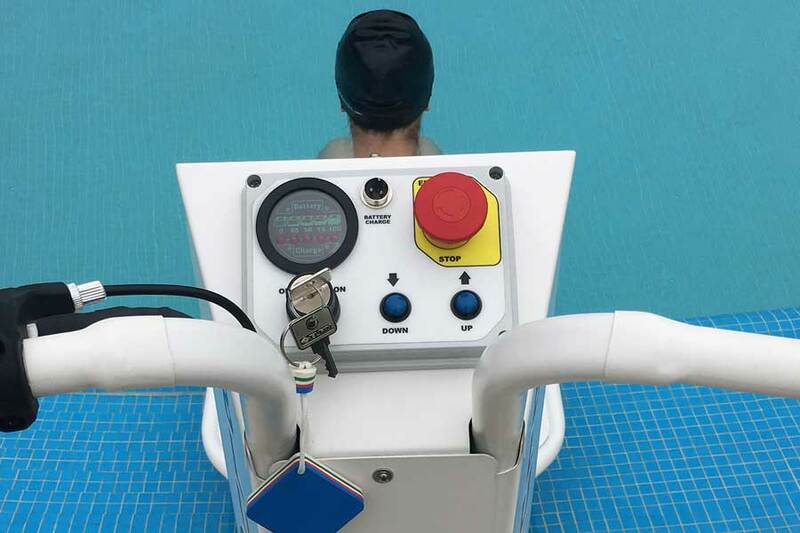 Simply operate the brake and lock in position, press the down button and the person is lowered into the pool. 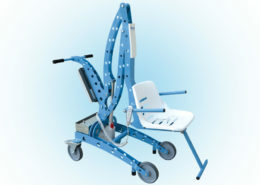 – Safe thanks to its 5 safety levels. 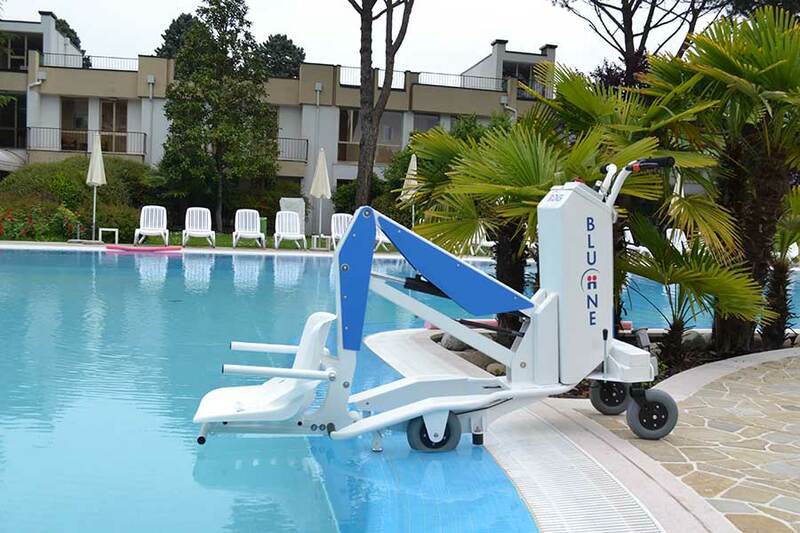 – Easy for the operator thanks its compact dimensions. 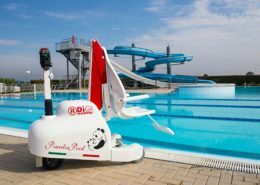 – Comfortable for the carried person since it is equipped with rubber wheels with high shock absorbing power and with various types of restraint belts, footrests and headrest. 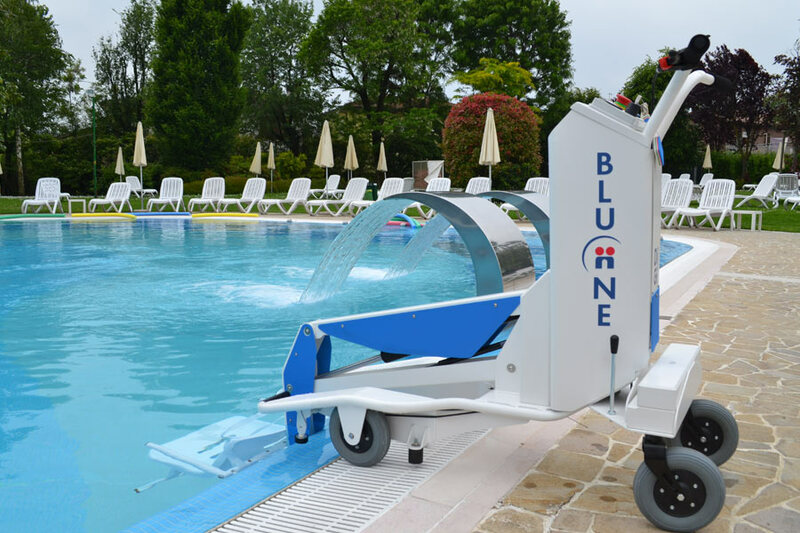 BLUONE NEW DESIGN: a little restyling! 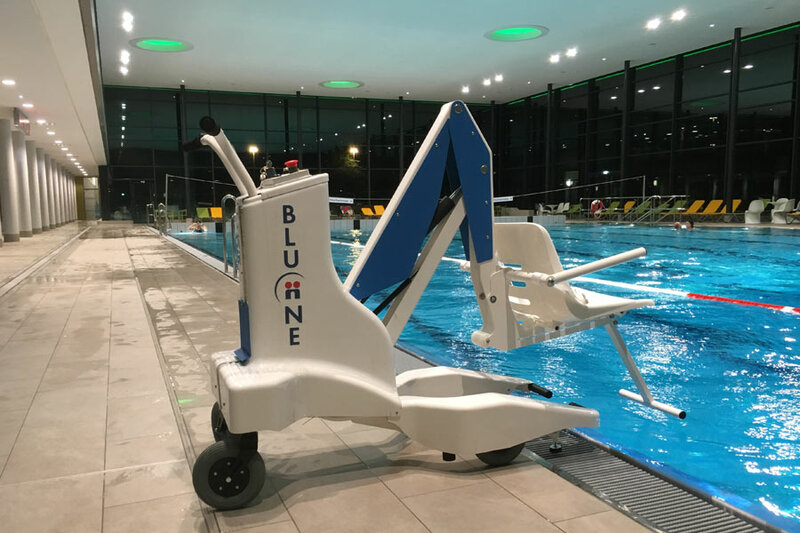 BLUONE NEW DESIGN has the same features and dimensions of our best seller BluOne, but it is equipped with an elegant plastic cover which softens its corners, guaranteeing the reliability and the functionality of the most requested lift of our range.